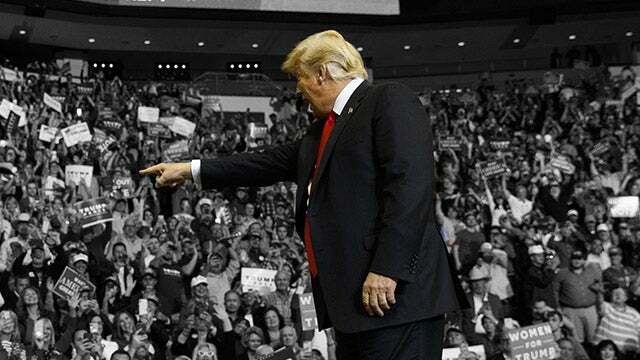 RUSH: The Rasmussen Daily Presidential Tracking poll: “President Trump today shows at 53% job approval likely U.S. voters, 45% disapprove.” But here’s the thing. At 53%, Donald Trump is seven points above where the, quote, “extremely popular,” unquote Obama was at this same point in his first term. Remember coming out of the 2010 midterms Obama was toast. The Republicans picked up 60, 63 seats in the House. Obamacare had just happened. A lot of America was unhappy about it. It was not a bipartisan thing. We had a screwy Supreme Court ruling to make it legal — which is its own controversy, by the way. More unelected people determining American law. So Obama was down, but back then the Drive-Bys were calling him very popular. They never referred to Obama as having any trouble with public opinion. They never allowed any such thing to take hold, and yet here is Trump who’s called universally unpopular, constantly embellished in controversy, seven points higher. Obama was at 46% job approval in the same poll at the exact time in his first term as Trump is today.